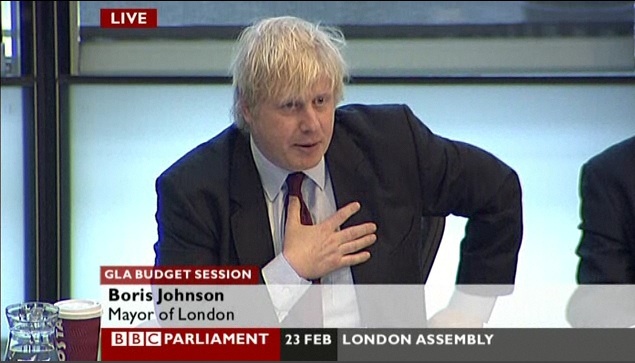 THESE pages revealed last year how Boris Johnson had a business meeting, in his role as London Mayor, with coffee giants Starbucks chief executive Harold Schultz. We don’t know what they talked about back then, but will there be a sulk on in the StarB offices if they tune into today’s GLA webcast and spy the Mayor’s current cup of coffee of choice? They talked about building a massive Starbucks the size of the Shard.